The bite size Spanish (about 28 grams each). 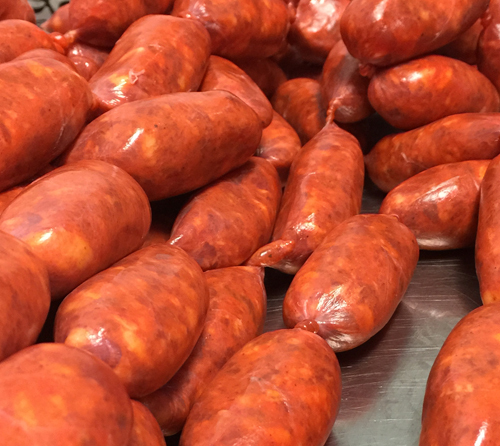 Paprika and spices and sweet delicious Pork mini Chorizo. This is perfect for the Tapas Plate. The best Chorizo ever.